Radar Online posted that the District Attorney reported to them that the charges were "dismissed", so that is just what I read. Thanks for that. I hadn’t seen it. Now didn't the previews show that her mom asked if she told him about everything? Could simply be hype and Mia will reply yes he knows everything. But we shall see. From what I have read Louisiana did not want to pay to expedite her so her bail conditions were changed I have seen no proof the charges were dropped. 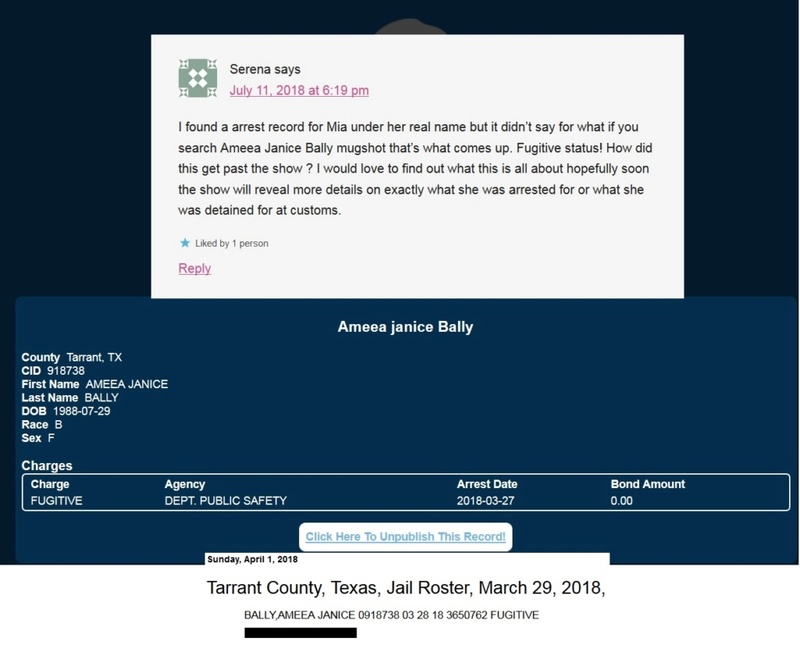 When she was arrested at the airport her bail was 'hold without bond' eg lock her up until we come and get her, after Texas contacted Louisiana they changed her bail conditions to 'release on own recognizance' eg Mia has said she will return to Louisiana to face the charges herself. At the same time as the bail conditions changed her warrants were withdrawn so she will not be arrested again from my understanding. After her bail condition change it is a mystery what happened she may have been and cleared up the charges, she may just avoid going to Louisiana so she doesn't have to face them with how often we have seen Mia lie I would go with she is avoiding the charges. @crazychicken thanks for posting. 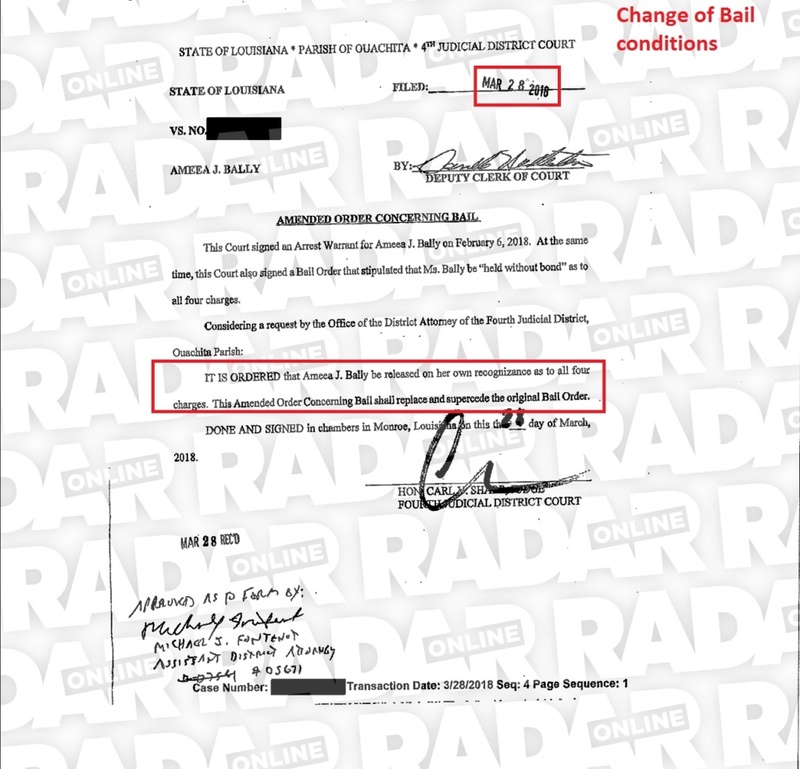 The change in bail conditions is dated March 28th. I know I've asked several times, sorry about that, but how does that line up with when she was detained going on their honeymoon? @jlccaz wrote: What's the timeline of casting, wedding, final decision for this season again? As gaurdianangel said initial casting was October 2017 they finalized the cast early February 2018, weddings were around March 25th and final decision were around May 21st. The mar 28 date seems just after arrest at airport? @GuardianAngel wrote: @crazychicken thanks for posting. The change in bail conditions is dated March 28th. I know I've asked several times, sorry about that, but how does that line up with when she was detained going on their honeymoon? so it lines up perfectly for a honeymoon arrest, for once it seems they are not screwing with the timelines. @crazychicken Thanks. What a mess. How awful for Tristan to go through that. I can't believe that Tristan rated Mia an 8 on how good of a wife she is. Is the man totally in denial? He gave her a higher rating than Dave gave to Amber. I would feel bad for him, but I'm finding it hard to when he just seems like he refuses to see what's in front of his face. I would love to see his friends and family be truly honest with him about their take on Mia. JMO. IMO, Mia and Amber are disasters and I question the effectiveness of any background checks that were done. Mia is much more of a complete disaster with her lies and deceptions. Run, Tristan, run. People.com reporting Mia has filed for Divorce from Tristan. 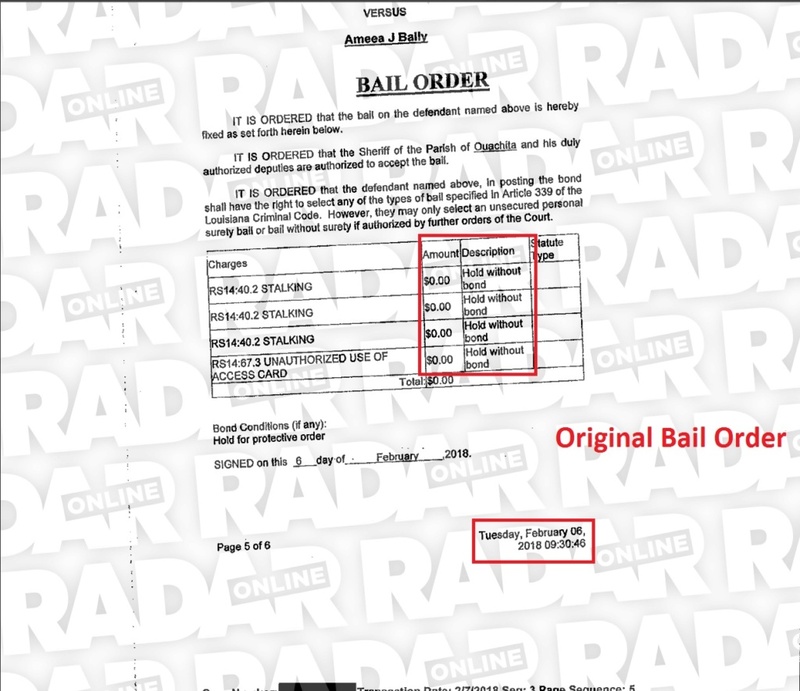 Radaronline has divorce papers on their site. I can't believe she filed before the show ended. I wonder if she will fined for that.